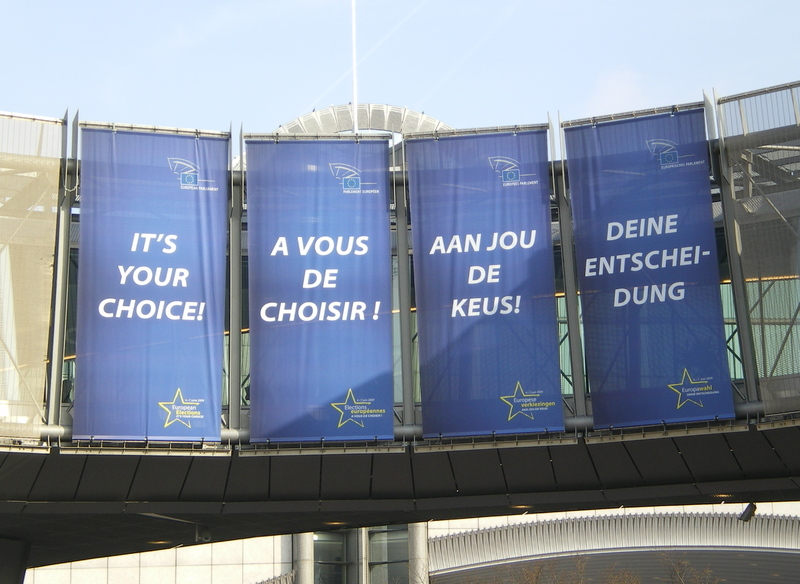 By Gregory – In recent months, and certainly now that the Eurozone crisis is in its third year, more and more voices in British politics are calling for a referendum on the United Kingdom’s membership of the European Union. As a strong believer in democratic values I shouldn’t have a problem with the idea of a referendum, but I have to admit that I do. The British population voted in 1975 with a majority of 67% to stay in the European Economic Community (forerunner of the European Union). If politicians and the media are convinced that another referendum is justified then at least British citizens should be well informed and fully understand the consequences of a vote in either direction. I understand that this statement sounds like music to some people’s ears. But let’s take a step back, and put this into perspective. First of all this figure is misleading as the UKIP figure of £50 million only takes into account what the UK contributes to the EU budget. It conveniently ignores the money that flows back from the EU to the UK through investment and the UK rebate scheme. The real figure is nearer to £12 million a day. According to the current EU budget that ends in 2014 the UK is the second highest net contributor after Germany and just ahead of The Netherlands, France, Italy, Sweden and Belgium. This means that in real terms the UK is paying more into the EU budget than it receives back from it. You could say that to a certain extent the richer countries of the Union are helping the poorer ones in their development. Why would the UK then stay in the European Union? There are a whole set of benefits that you can’t measure in Pounds or Euros. Every member of the Union benefits in some form from the internal market and from the EU’s clout in world trade negotiations. It is therefore the richer countries of the Union that benefit the most from the single market because typically they are the countries that engage in the most trade. Now let’s take a look at the contributions made by the UK as a percentage of its gross national income (GNI). Measured in this way, the UK’s contribution is the smallest of all 27 member states, less then 0.7% of its GNI. An almost identical amount to what the UK government has committed to spend on foreign aid. Would anybody argue in favour of reducing or scrapping aid to the Third World? People in the United Kingdom are not always aware of the benefits of being a member of the Union. A substantial number of projects have been part funded by the EU. One of the funds from which the UK benefits is the European Regional Development Fund (ERDF). The ERDF aims to strengthen economic and social cohesion in the EU by correcting imbalances between its regions. The ERDF not only finances big infrastructure projects but also finances direct aid through investments in small and medium sized companies to create sustainable jobs. The regeneration of Merseyside (Liverpool) and parts of London are two good examples. Traveling on the continent, such projects would be proudly and visibly signposted as having received EU funding. Why does this seldom, if ever, happen in the UK? So why not follow the example of Switzerland and Norway? Both countries stayed out of the EU but joined the European Free Trade Association. This allows them to trade freely in the EU’s internal market through the European Economic Area (EEA). * However, this privilege comes at a price. Firstly, both Switzerland and Norway have to contribute to the EU budget without receiving any investment in return. Norway’s contribution of circa £272 million (€340 million) for example, makes it the 10th highest contributor to the EU budget, despite not being a member. If the UK wanted to benefit from trading with EU member states after withdrawal, its contribution would be significantly higher than Norway’s, based on the size of the UK economy. Secondly the EEA countries are obliged to adopt all EU legislation related to the single market, except laws on agriculture and fisheries. In practice this means that Norway and Switzerland, 2 non-EU members have to abide by more then 80% of EU rules and regulations despite not being part of the decision making. So where does that leave the UK? Well, that’s up to its citizens come a referendum. There are clear benefits staying in and significant costs associated with pulling out. At under £0,20 per UK citizen per day, is it not a price worth paying to sit at the table where EU wide decisions are taken? *Switzerland has not joined the EEA, but has a similar agreement with the EU.